DOBBS FERRY, NY — A delegation of Mercy College part-time and non-tenure track full-time faculty delivered a letter to College President Tim Hall this afternoon, announcing their efforts to organize and join Service Employees International Union (SEIU), Local 200United. Joined by their tenured and tenure-track faculty allies, students, and other members of the campus community, members of the Mercy College Faculty Union Organizing Committee shared their stories of how they struggle to make ends meet. Along with their letter announcing their push to unionize, members of the organizing committee also delivered a letter of support from Assemblymember Thomas Abinanti, whose district includes Mercy College’s Dobbs Ferry campus. Read Assemblymember Thomas Abinanti’s letter of support here. Their push to join SEIU Local 200United comes just six months after approximately 800 non-tenure track faculty at Fordham University ratified landmark first contracts for both part-time adjunct and non-tenure track full-time faculty. 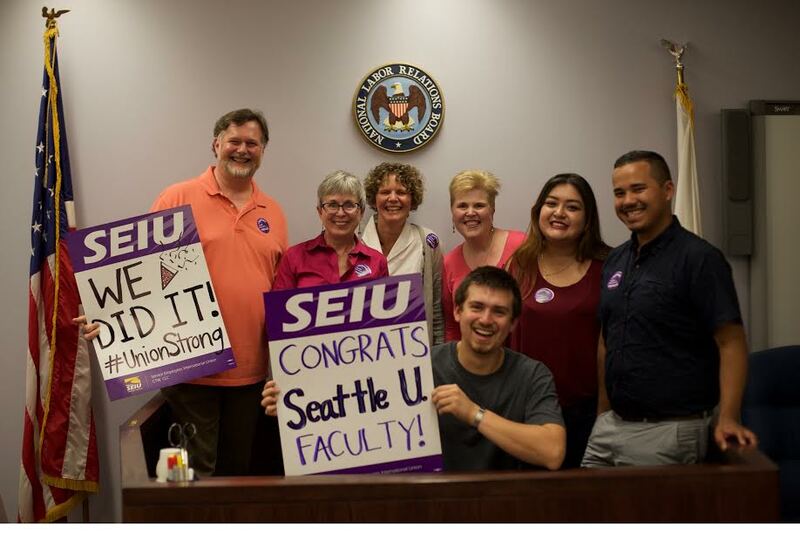 The three-year contracts feature substantial increases in pay––between 67% and 90%––for adjunct faculty and raises the minimum salary for full-time contingent faculty to $64,000. It also establishes longer-term appointments and a professional development fund. The agreement was struck after just four months of bargaining with the university administration and ratified in June 2018. Faculty Forward is a national project of Service Employees International Union (SEIU) and SEIU Local 200United in New York and Vermont. Its over 3,000 adjunct and non-tenure eligible professors teach at nine colleges and universities across both states, including Fordham University in the Bronx, Siena College in Loudonville, NY, and Saint Michael’s College in Colchester, VT. SEIU Local 200United represents 15,000 members across the federal, public, and private sectors, including 6,000 workers in and outside the classroom at 30 colleges and universities.